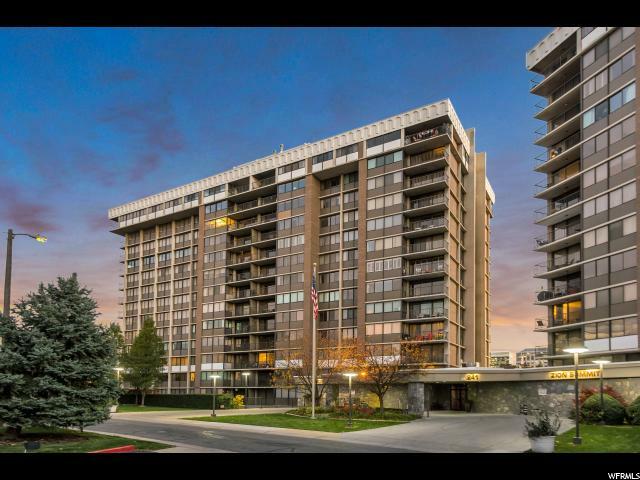 All ZION SUMMIT homes currently listed for sale in Salt Lake City as of 04/21/2019 are shown below. You can change the search criteria at any time by pressing the 'Change Search' button below. "Location, Location, Location! 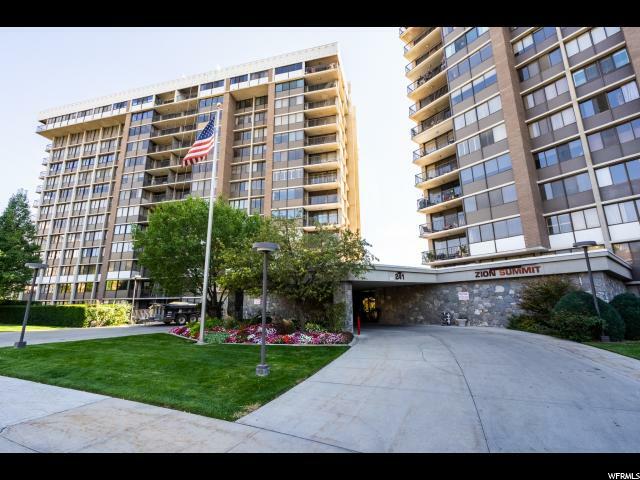 Highly sought-after upper level high rise condo includes 1 secure underground parking space and enclosed storage.This gorgeous condo is situated with a spectacular close-up view of the Capitol building, surrounding mountains, sparkling night lights, and in the most desirable downtown area near famous Temple Square, City Creek shopping district and The Gateway. This unit has a an updated designer kitchen with large stone paver flooring, granite counter tops, custom built-in white kitchen cabinetry, secretary and office hutch with desk and office area. Refrigerator is included, as well as new stainless steel range, microwave, and high-end fixtures. Additional features and upgrades include over- sized bedroom, two generous sized closets including a walk-in, master bath with a large soaking tub, wood shutters, and custom oak flooring. 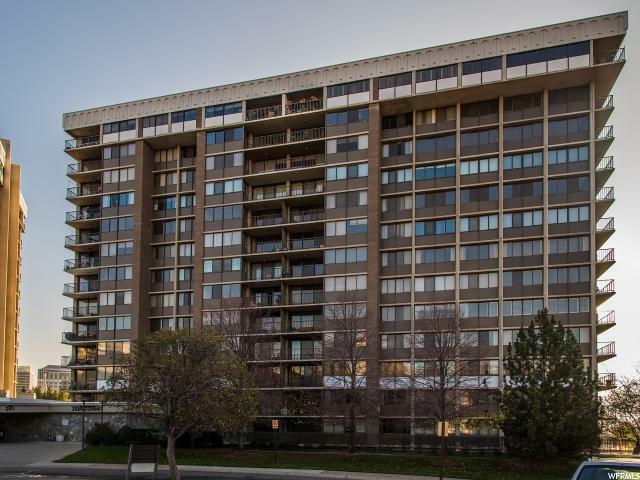 This condo has more square footage than most 1 bedroom condos, comparable to 2 bedrooms! Excellent opportunity for 2nd Bedroom can be made from large dining area or secondary living room area with closures. 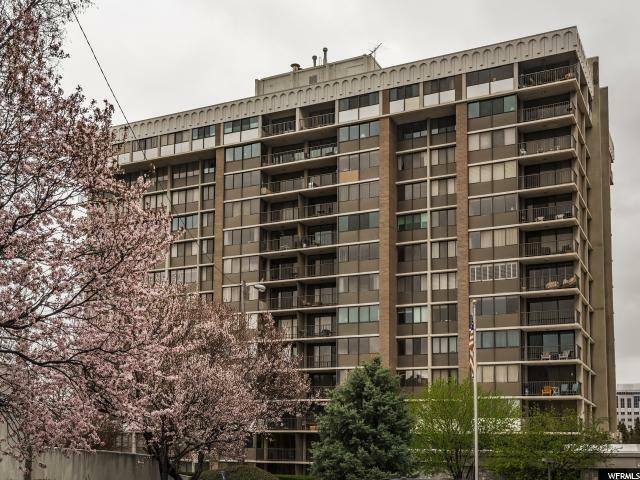 Building amenities include large Olympic size pool with stunning city views, fitness room, reading library, and recreation rooms. Square footage figures are provided as a courtesy estimate only. Buyer is advised to obtain an independent measurement."